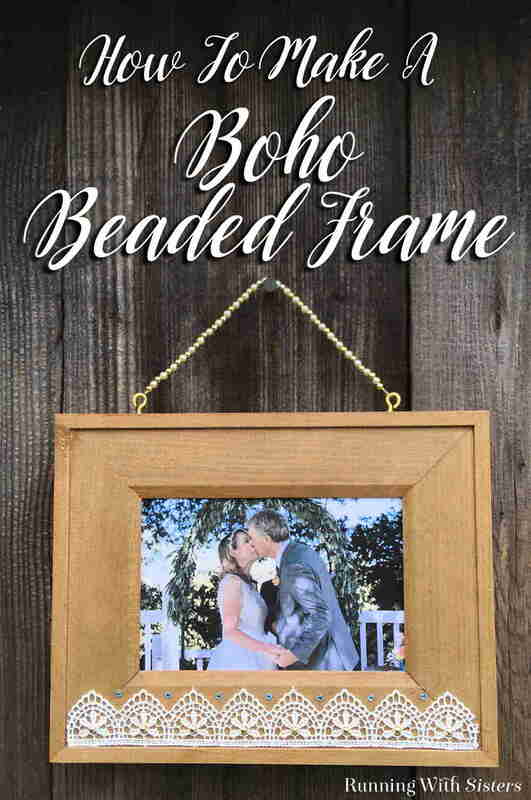 Turn a wooden picture frame into a pretty Bead And Lace Boho Frame. 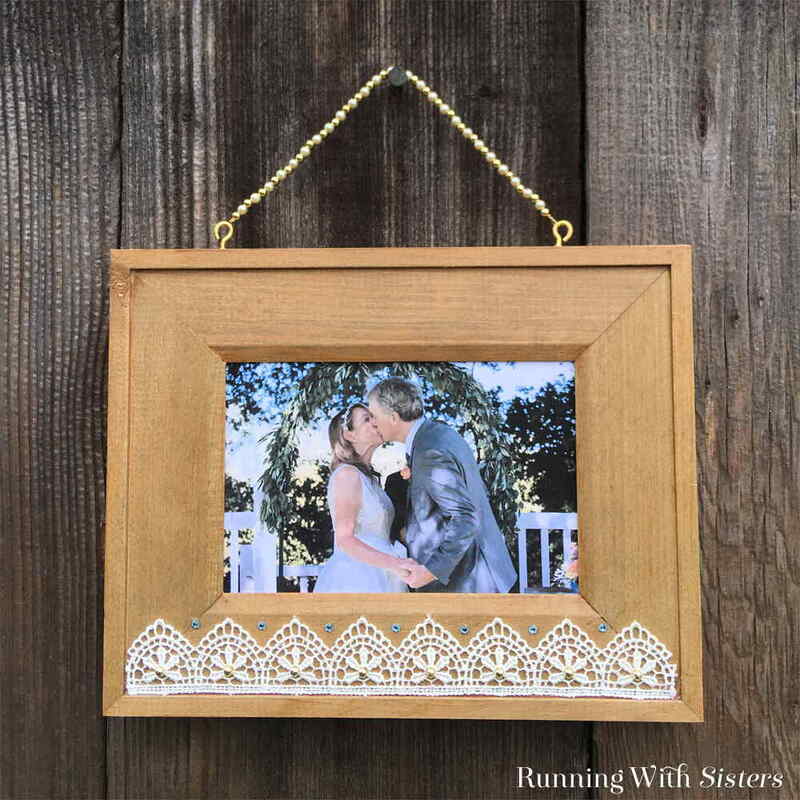 We’ll show you how to add lace and beads to the photo frame. 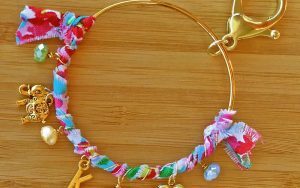 Then we’ll make a beaded wire hanger with gold beads and pearls. This is a lovely DIY gift! 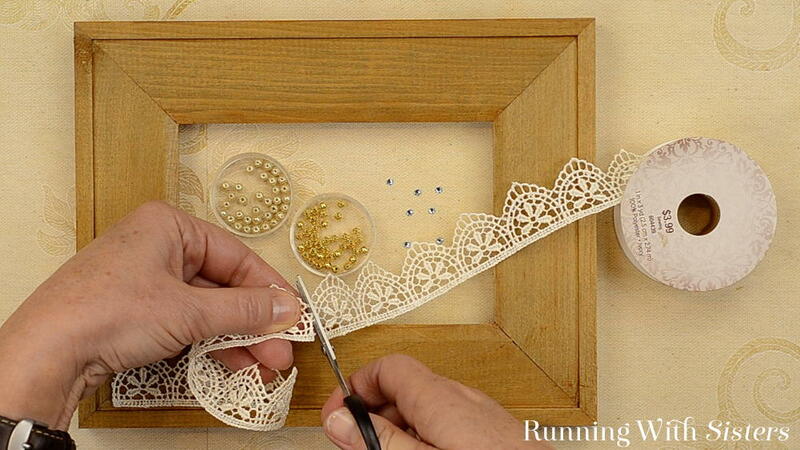 Here’s a step by step video showing how to cut the lace and glue it to the wooden frame and how to add the gems and beads. 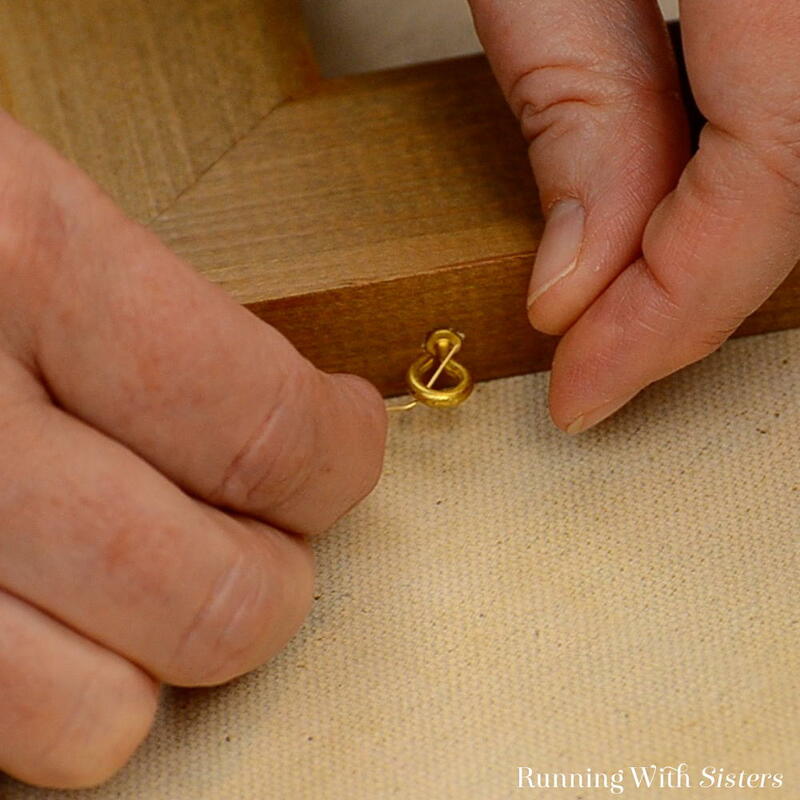 We also show you how to bead wire to make a beaded picture frame hanger. You can follow along as we make the complete Boho Frame. Then use the written instructions below to make your own. 1. 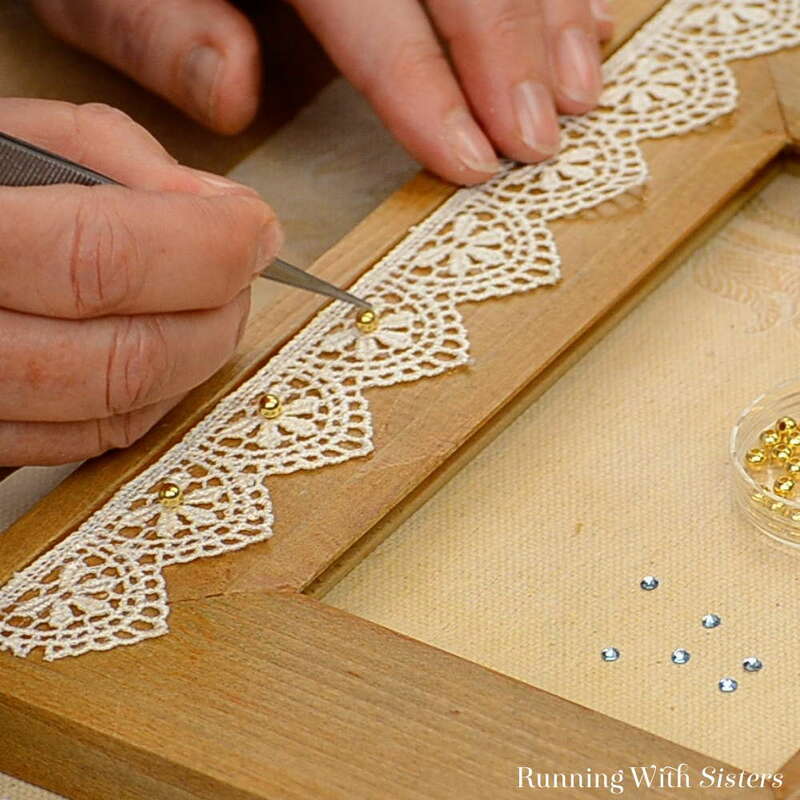 Glue The Lace To Frame. Dab a little E6000 glue to the back of the lace on the thickest areas. Turn the lace over and set it into place. 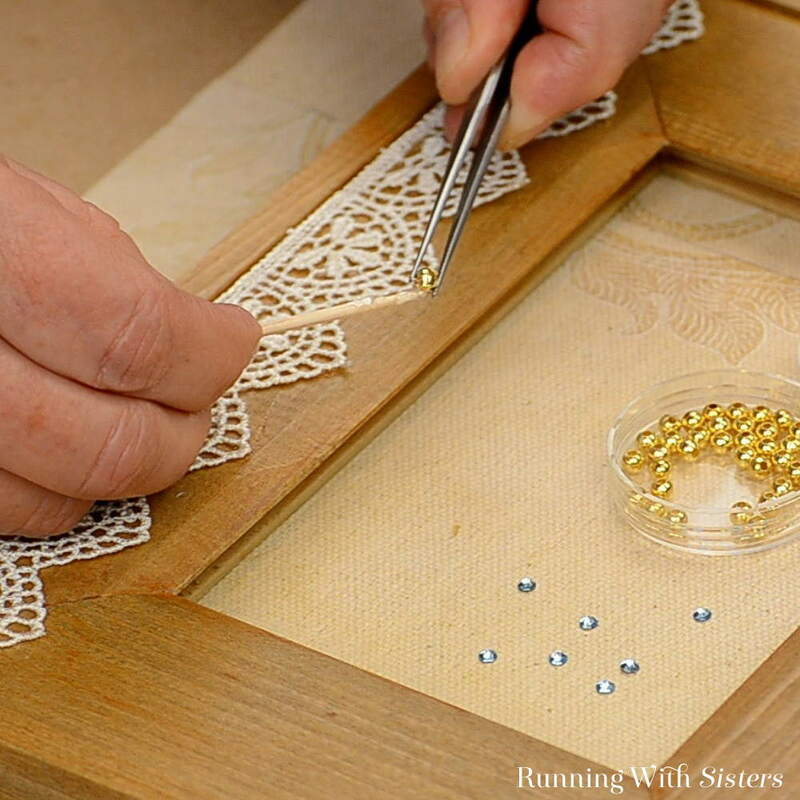 Press the lace onto the frame. If any areas need more glue, apply a little dab of glue under the edge of the lace using the toothpick. 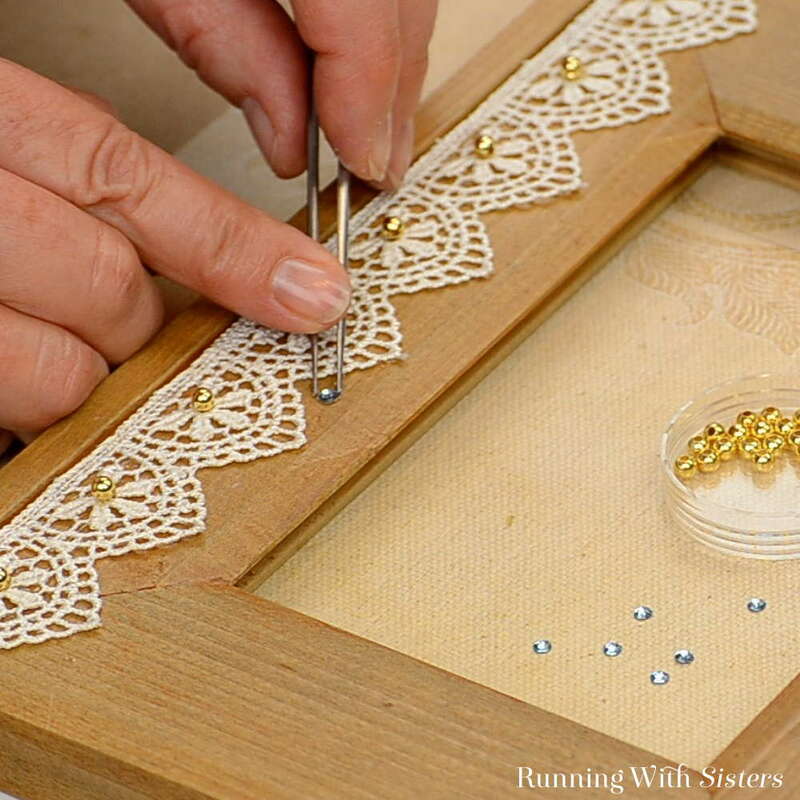 Next, add gold beads to the lace. 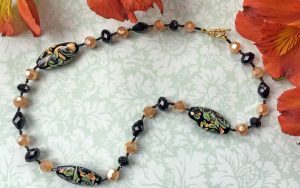 Look at your lace pattern for places to add beads. We had little flower shapes in our lace, so we decided to put the gold beads in the centers of the flowers. 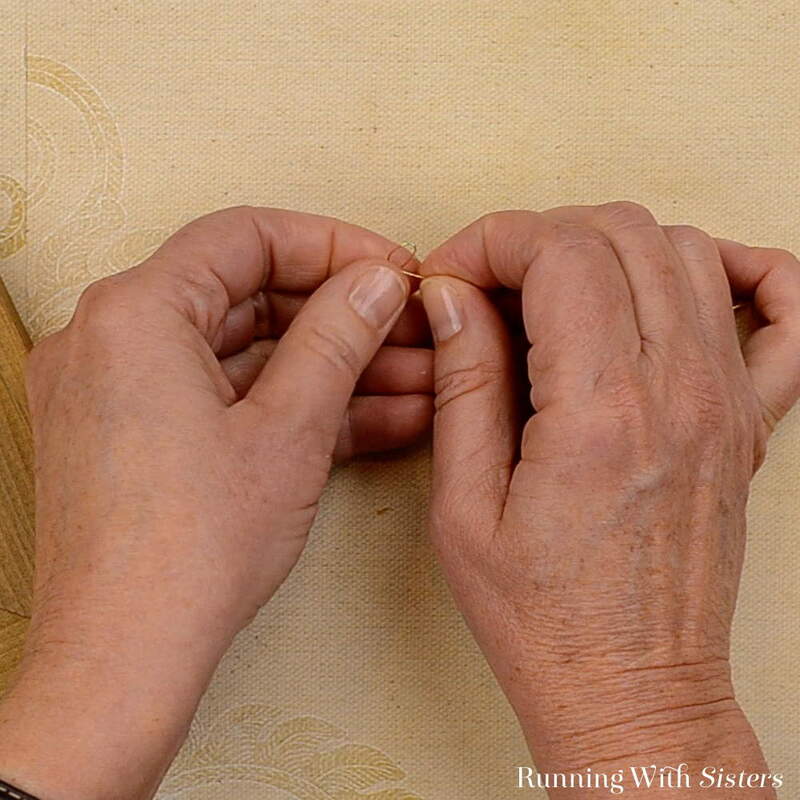 To glue the beads to the lace, start by squeezing the glue onto an index card or piece of scrap paper. Pick up a dab of glue by twirling the toothpick in the glue. 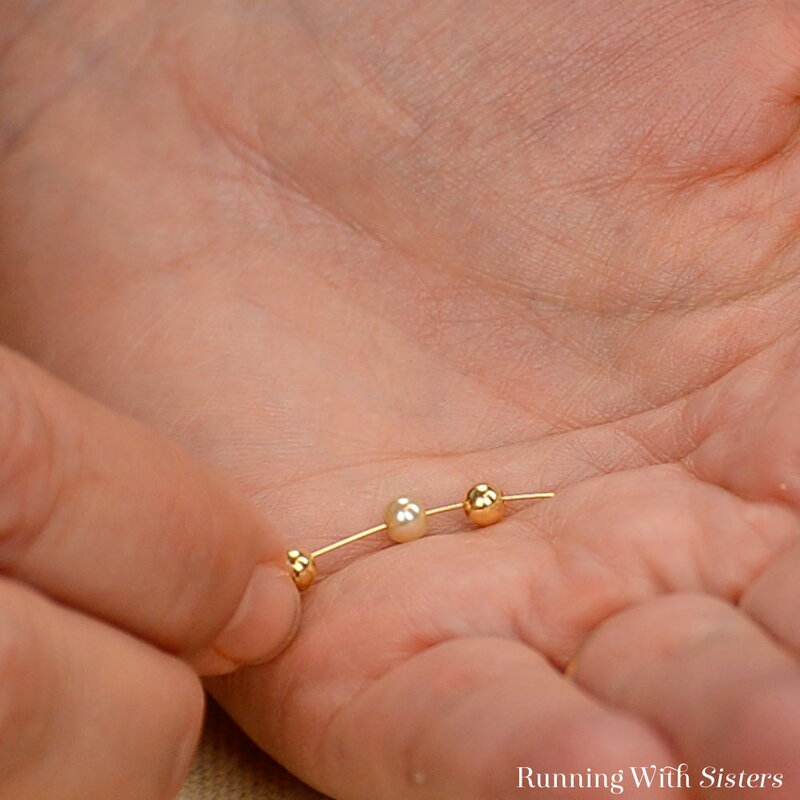 Use the tweezers to pick up one of the gold beads. 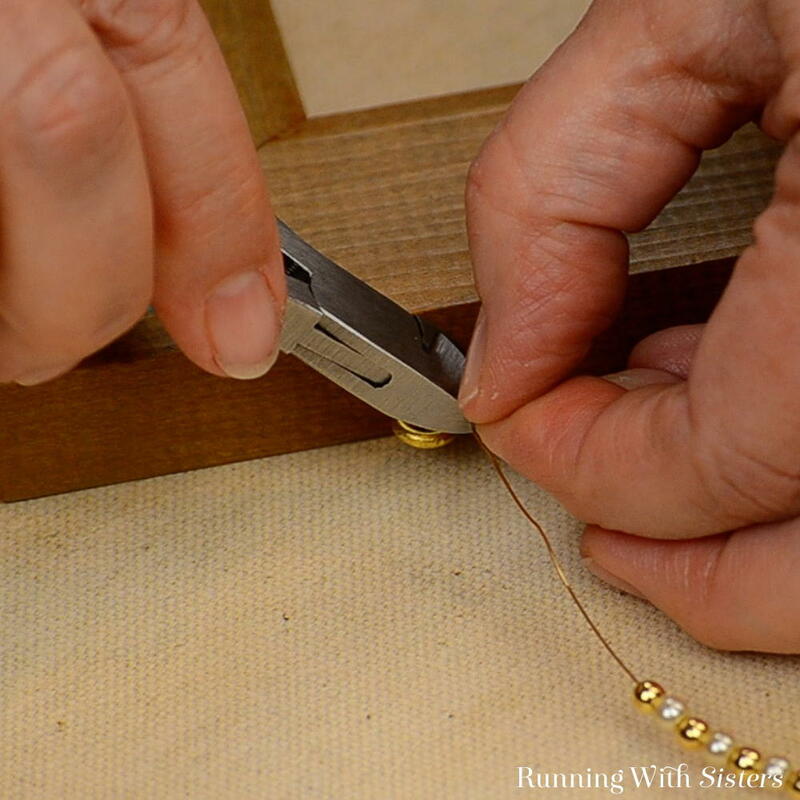 Then use the toothpick to apply a little glue to the bead. Set the bead on the lace and press it down. 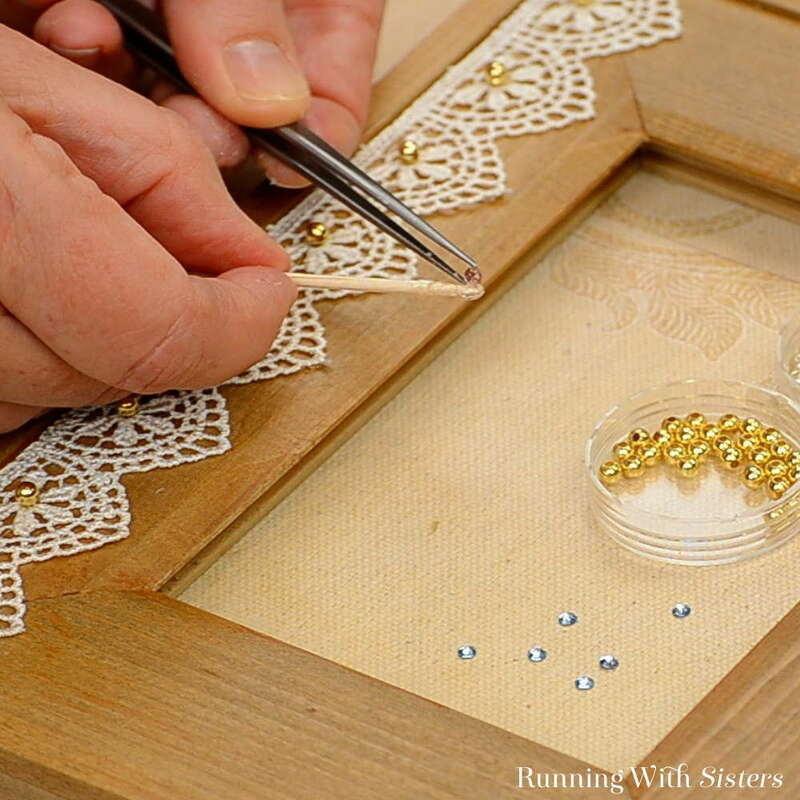 Next, glue the Swarovski gems to the frame. 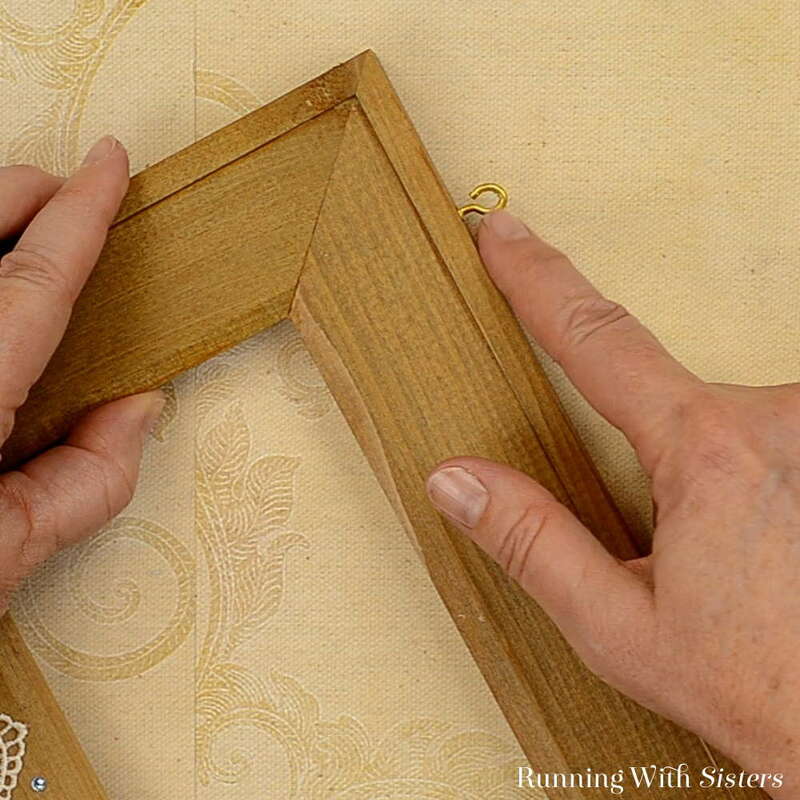 We decided to place a gem between each arch of our lace directly on the wood of the frame. Glue the gems using the same technique we used to glue the beads. 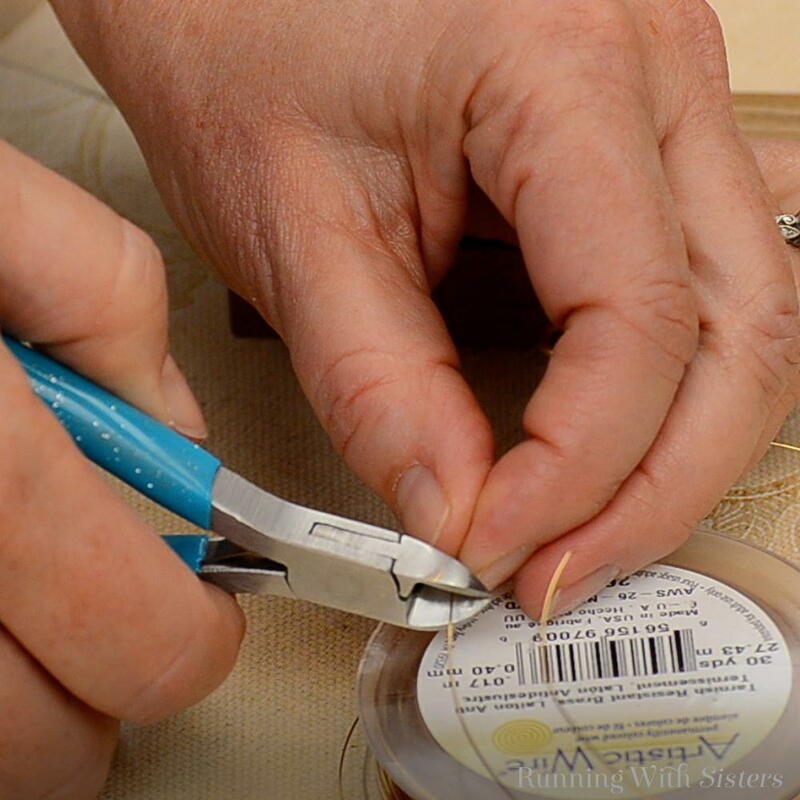 Pick up a gem with the tweezers and apply a little glue to the back using the toothpick. Set the gem down on the frame. Press into place. 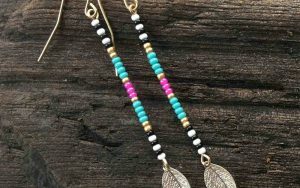 To make a beaded hanger for the Bead And Lace Boho Frame, screw the eyehooks into the top of the frame. Next cut a piece of the gold wire about 10″ long. 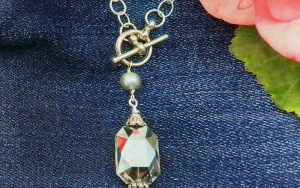 To keep the beads from sliding off the wire as you bead the hanger, make a little bend in one end of the wire. 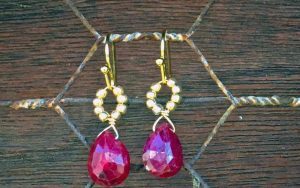 Place a gold bead then a pearl on the wire. Continue this pattern until 7″ of the wire is beaded. Feed the end of the wire through one of the eyehooks. Bend the wire back on itself and twist to secure. Use the wire cutters to trim the end. Attach the other end of the beaded wire to the other eyehook. We just love how our Bead And Lace Boho Frame turned out! What a pretty way to make a handmade gift for a bride and groom. If you have any questions about this project, leave us a comment and we’ll reply. We love hearing from you!